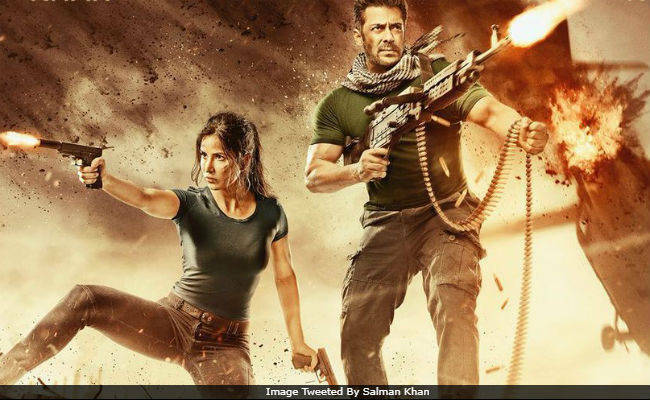 PUNE: Salman Khan's Tiger Zinda Hai came as a pleasant end to the year for box office, as the film received grand opening on Friday. As per trade portal boxifficeindia.com, the film grossed Rs 34 crore on its opening day and the figures are predicted to be high due to long Christmas weekend. Tiger Zinda Hai, as the portal claims, stands at number five in the list of biggest openings of all time. The top slot is taken by Bahubali - The Conclusion (Rs 40.73 crore),while the second and third positions are taken by Salman's Prem Ratan Dhan Payo (Rs 39.32 crore) and Sultan (Rs 36.59 crore) respectively, followed by Shah Rukh Khan's Happy New Year. The Ali Abbas Zafar directorial is also doing strong business in Gulf and US-Canada market. In Gulf region, the Salman-Katrina Kaif starrer raked in $2 million in two days, whereas in US-Canada market it earned $450,000 in one day. Tiger Zinda Hai has concluded the year with the third biggest opening after Bahubali - The Conclusion and Golmaal Again. The film met with astounding responses from north India, box office india reports. The Bajrangi Bhaijaan actor's previous outing Tubelight met with an ill fate at box office, as the film couldn't rake in big numbers expected from a Salman Khan film.